Arc Waziri Bulama, the deputy director general of APC presidential campaign council disclosed the party's readiness for the forthcoming general elections dismissing claims that the APC was looking for a postponement of the polls. Bulama who disclosed this on Wednesday, February 13, stated that the council had carried its campaign all over the country. He said the responsibilities of leaders was to deliver good governance, secure the lives of Nigerians. According to him, “The other role of government or leaders is to ensure that they promote justice, they promote rule of law, they promote peace, promote freedom through their actions. ''So, this is the other aspect of the roles of leaders that most Nigerians don’t focus their minds on. But it is one thing that President Buhari promoted very strongly. Promotion of rule of law, promotion of work of institutions of government without interference, promotion of justice, promotion of fairness. “These are the things that he had done through words and actions, through personal example; he has promoted those things that would engender confidence in Nigerians to accept that the system is fair. ''Because you see incumbency places the responsibility on every leader to ensure that there is freedom, there is fairness, there is justice, that all the institutions of government are not exploited for personal interest. “All stakeholders who participated in these elections have affirmed these elections as qualitatively better under this dispensation than the previous one. ''That means there is commitment, there is fairness and there is commitment to justice under our government because we are leaders that don’t impose conditions on INEC or the police. 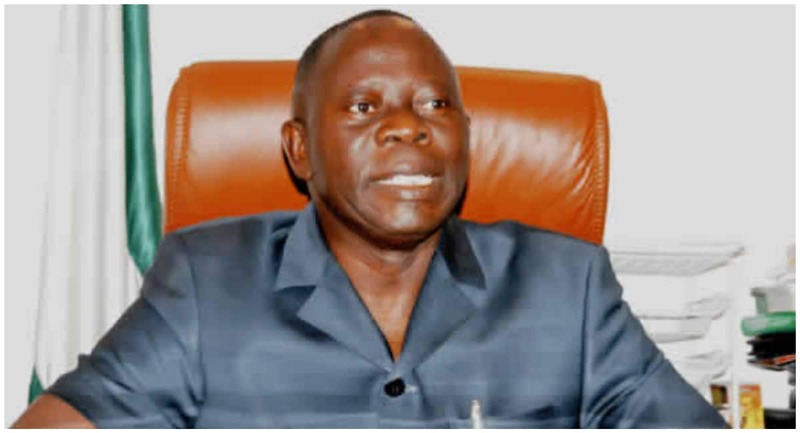 “Even in our own party, APC President Buhari and Ahmed Tinubu, Comrade Adams Oshiomhole never imposes a condition you determine who is a party leader or party candidate. So they have the policy of allowing the institutions to work. “We have this record and also you see Nigerians have shown greater confidence in democracy because under our leadership Nigerians registered to vote increased from 68.5 million to 84 million. Meanwhile, Legit.ng had reported that a global research and political risk solutions firm based in in the February 16 presidential election, specifying that the president will win by 60%. The group predicted that the odds against President Buhari’s main challenger, of the Peoples Democratic Party, positioned the incumbent to retain his seat at the Aso Villa. Some of the odds, identified by the group, have to do with divided, unwholesome support given to Atiku by key elements from his party.